This is a gorgeous 5 operatory practice in one of the most desired suburbs of Portland. 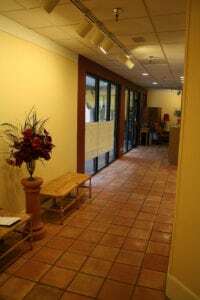 The owner has created and enjoyed a “comfortably” paced practice where all specialty work is referred out and she performs all hygiene herself. Additionally, the facility has more than enough room to expand, creating an outstanding opportunity for a new owner, who does specialty procedures, to immediately increase production. Dentists in the Lake Oswego market enjoy high treatment acceptance rates, patient compliance, and timely payments. The location is in a very high-traffic area near shopping, schools, restaurants and the Kruse Way office complex in the Lake Grove district. The office is housed in a multi-tenant, single story commercial/professional building that also houses business, retail and dining. 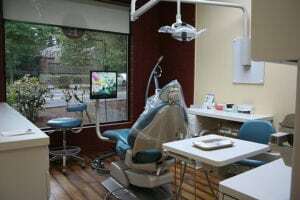 The spacious and open 2,400 square-foot clinic suite has 5 operatories, 4 of which are fully equipped, and the other is partially equipped and is only in need of a chair. Two of the operatories are in a separate area and can be closed off, creating an excellent space for a specialist or a tenant, if desired. There are two private offices, either of which could be turned into treatment rooms. 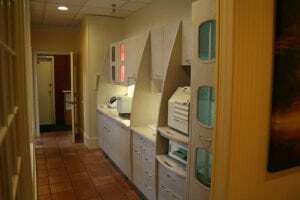 In addition, there is a separate space that is plumbed for a lab and could generate rental income or be turned into a treatment room or large staff area. 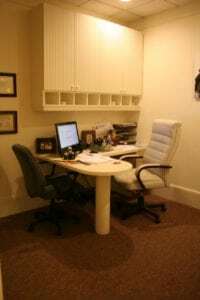 There is beautiful wainscoted cabinetry and walls throughout the office. The ops have laminate hardwood floors and are spacious and welcoming. There is ample parking for patients and staff directly in front to the office entrance. The current owner works 2 and a half days each week. She currently fills one of those days with hygiene, which she completes herself. The other days she does both hygiene and restorative. There are 3 part-time employees, 1 assistant, 1 office manager and 1 sterilization tech. There is plenty of growth potential for a buyer who would like to initiate some marketing programs, wishes to complete the specialty work that is currently being referred out, and wants to bring in a hygienist. Referred out is all Endo, Ortho, Pedo and surgery. In the last 6 months, there was $68,150 of referred work documented. There are 840 active in the last 24 months. There were 228 new patients added to the practice in the last twelve months, averaging 19 per month with no external marketing. 2017 collections were $377,866 and 2018 is on pace for $403,000.